One of my favorite sewing websites is Sew, Mama, Sew. They had an International Giveaway Day in the fall a few months ago where they invited people to do a giveaway on their different sites and then Sew, Mama, Sew compiled a giant central list that you could surf through and enter different giveaways while discovering tons of new great blogs. It was fun and a huge success, so they decided to do another one. or if the winner prefers I will make them a camera strap instead. The one I make will be a slip cover for your current strap. Here are some that I have made. Just leave a comment on this post to be entered. The giveaway will be open for 3 days. 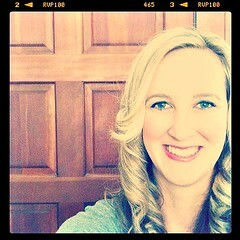 Thanks for stopping by the blog!!! Dont forget to stop by Sew Mama Sew! to enter all the other great giveaways. Love fabric and camera straps! Look at all those fat quarters! WOW..I'm jealous! hey!!! love your blog and the fabrics!!!! have a nice day and thanks for the giveaway!!!! yay!! Fat quarters! I am so in!! I love fat quarters!!! But the camera straps are highly neat as well. My family loves photography but I am not as interested. Maybe if I had some cool straps I would carry mine more. Thanks for the chance!!! Great giveaway Darci! You make it so hard to choose. You can count me in though, thanks! I've been enjoying your blog for a little while now. What a great giveaway! I'm in! I love me some fat quarters! Thanks!! I love your camera straps! you've got yourself quite a great fabric collection there. How are you feeling? still tired? BTW, great giveaway! YAY for giveaways! I hope I can contribute next time! Great blog and GREAT fabrics! Would love to win! seeing as you already made me a SUPER awesome camera strap, i'm gonna hope that i win those 4 fat quarters. p.s. how are you feeling??? Love fat quarters. Thanks for the chance. Darci, I want a camera strap, lol! I just ordered a DSLR body (to use with some fairly crappy lenses I already have), so I need a little bit of fun for it when it comes. Thanks for sharing your stash goodness with us!! Linking your blog to mine if that's ok, hope so, I mean if it's not let me know it may take me a day or 2 to actually do it. Thanks for the give-away and great blog! Yum, fat quarters. Thanks so much for the chance to win!! Yay FQs! Thanks for being so generous! I want to collect fabric and you have lot gorgeous colors fabric!!! Fat Quarters are always fun. Cuteness!! 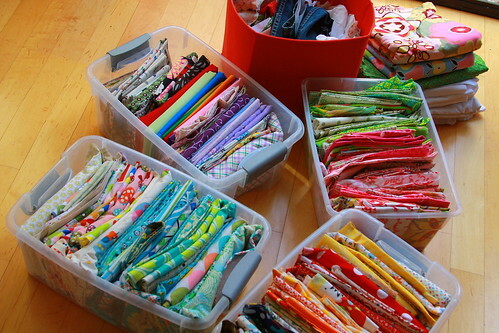 I would love some new fat quarters to add to my stash :) You can never have too much fabric! I can't choose between those two great choices! Oh dear. Oh wow - what a fantastic giveaway. I would have to go with a camera strap I think. It would certainly encourage me to start taking more photos! Thank you for the chance to join in. I would LOVE fat quaters!! what a great giveaway!!! thanks so much!! Wish me Luck!!! I really love the camera straps you made, those are really cute. too bad I don't have a DSLR to go with it! SO cute! I'd love to win a camera strap! sign me up! Love all those fabrics. Hi. Very generous! Your camera straps look great, so colourful, but I'm not a camera strap user, so I'd rather have the FQs. Got to be good from your collection. OOhhh! love fat quarters! Thanks for the chance to win! Who wouldn't want fat quarters? Especially with the technicolor preview. What great fabrics! Would love to win! My camera has no need for your beautiful strap unfortunately. I don't have a fancy camera strap-or a fancy camera that needs a strap, for that matter, but would love to be entered in the giveaway! Thanks! I love your camera straps. What a fun way to dress up your camera. I would love to have one. Fat quaters how fun! Thanks for the giveaway! I love all the bright colors in your stash. Love your stash!! Thanks for the giveaway!! I only wish I had a camera that had a strap! The fat quarters would be great though. Who doesn't love a good fat quarter stash. Hope you are feeling better. What a lot of gorgeous fat quarters you have! Wowee. Great giveaway Darci. Love the fabric you choose! Thanks for the giveaway! what a great giveaway! I can't decide if i'd take the camera strap or fat quarters! I`d love to enter. I love getting new fabric! The fat quaters are awesome and so is the camera strap cover. Who can decide? Awesome giveaway! I love the idea of both the fabric and the camera strap; it will be hard to decide if I win. Thanks so much! What a great give-away. Thanks for participating. Love some fat quarters. Thanks for the giveaway. Ohhh I am a sucker for new FQs to play with! Cool! I'd love the FQs. My camera does not have a strap otherwise I'd love that! Oh, both choices are so tempting! Thanks so much for sharing. The quilt square you made below is lovely. I would prefer the fat quarters because my camera already has a strap. Thanks so much. I love the colors in you stash. i realy wish to win this giveaway!! the fabric and the camra sraps are beautiful! Wow, great giveaway! Thanks for offering it. I could really use some FQs. You have a great stash! Thanks for hosting. I'd love some more fabric, I'm a newbie so I don't really have a stash. Wow! Great give-away: love the bright colors of the fabrics, the combination! Love your camera straps and the fabrics are great too! Thanks for the giveaway! those fabrics look amazing! what a score that would be! What a generous soul you are, the fabrics are awesome. How about instead, if I win, you come to Idaho and organize my fabrics like yours? Sound like a plan? Love the fabric! i would love to win the fabric! thanks for letting me enter your contest. Oooh I love mystery fabric and your stach looks lovely. Hard to choose between the two! Guess I'd like the fqs. Such a lovely photo of them. thanks for participating. Great giveaway! I'd have a hard time choosing between fat quarters and a camera strap cover. But I love your style and think I may just go for the strap. Fabric!! Sweet music to my ears! Wonderful giveaway - I love your work! How fun! Fat quaters are one of my favorite things! What a fabric stash! Love it!! oh! You always use the CUTEST fabrics on your projects. I'd love to win some fat quarters! I'm not sure which I'd pick. The camera strap is gorgeous! OOO, lovely stash. Fluffy mail would make me so happy! Great giveaway! Thanks for adding me. What a pretty blog! This is my first time here! i would LOVE to win some fabric! I seriously need some! I'd love the fabric. Thanks for the chance. Love the fabric! thanks for the chance! How can I pass up FOUR FAT QUARTERS! You're awesome, by the way. Fat quarters? Count me in! I always love more fabric! fat quarters please! i love all those colors! Fat quarters --- very cool! Count me in- I'm feeling lucky! Count me in - I would love to win the fat quarters or the camera strap. I would love to win some fabric. Unfortunately my camera is a million year old and probably way too heavy for a strap. Wow, that's quite the incredible array of fabrics you have...thanks for such a nice giveaway! Ooooo fabric, my happy place! Yay!! I'd love some free fabric!! I need a camera strap! I'm a scrap quilter - so can use the fat quarters. Interesting give aways. Robert, in northern Iowa. It looks like you have some fun fabrics. I would love a set of fat quarters. I love your fabrics and your strap covers! 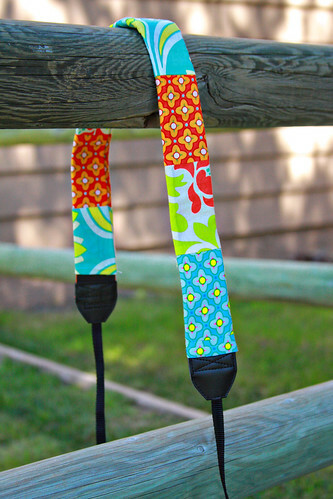 Super fun strap covers! Love 'em! Thanks for sharing!!! wow, those colors just draw you in, huh? very cool collection and straps! I would love to win your fabric! 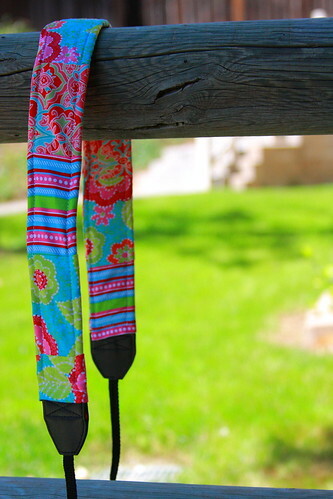 I would love to win some of your fabric...your camera straps are tempting as well:) Thanks for the chance to win!! Thank you for the great giveaway! Looks like you have a wonderful stash of fabric! Wow! What a great selection of fabric you have! Thanks for the chance! We all need more FQs right? I know I do! Thank you for the giveaway and the chance to win! Would love fabric- thanks for the great giveaway! I love your fabrics! I could really use some fat quarters! I would just love the camera strap! Love all the fabrics, I'm so addicted to it! I am soooo jealous of your gorgeous fabrics, lucky you : ). Love the camera strap covers! Thanks for the chance to wim. wow - what a great giveaway. I'd love to win the fabric. I've been on a sewing blitz and my stash is starting to run low. I love fat quarters! And as I have jsut spent a fortune on vet bills, it is going to be awhile until I can buy anymore! Great giveaway! I always love fabric, but your slipcovers are adorable, too! I would love some fat quarters! Thanks! Oh I would -definitely- prefer a camera strap, they are so beautiful. Your camera straps are adorable! Love the fabric! Thanks for this giveaway. Your camera straps are so fun!! i just love what you do and I thank you for this giveaway! Your fabrics are so nice! I love the fabric. thanks! I love surprises and I love fat quarters. Please count me in. Many thanks. I'd love to win some fat quarters! Free fabric? Please count me in!! I don't have a SLR so a strap cover wouldn''t be of use to me YET! The fat quarters look great. Thanks for the giveaway. mmmm fat quarters :) thanks for the giveaway! I love your blog! Thanks for the great giveaway! Random fat quarters are my favourite - so inspiring! Thanks for joining in on this crazy event! I don't have a fancy camera with a strap (YET!) but I could definitely use some fat quarters! Just discovering your site through the contest, and I love it! Can't wait to explore some more. I love fat quarters and am totally jealous of your stash! Thanks for sharing! Fat quarters are always fun! Fabric is the best! Thanks for doing the giveaway. That is quite a collection you have there. I aspire to have one like that someday too! Love your goodies. The fat quarters might inspire me to make something special. That looks like a fun stash!!! Your straps are great, too! What a great giveaway! I love getting fabric pieces from others and getting inspired by their choices - you have beautiful fabrics and I love the camera straps. THanks for the great giveaway opportunity! Too funny - I just did this with all my fat quarters too. Amazing how calming it is to see all your fabric in one place! Wonderful giveaway - check mine out too if you have time! Beautiful fabrics--how delightful you would share these! Wow! Look at all that beautiful fabric! Count me in. What a great stash of fatties -- and a clever way to store them. Can I have your idea? And please put my name in the hat for the giveaway too! Look at all the pretty pretty colors! Thanks for the opportunity. Oh, I'd love to enter for the FQs!! !